﻿ HOW DO I CALCULATE FIBER OPTIC LINK BUDGET? In order to accurately calculate fiber optic link budget, you should know two concepts: installation loss and AC losses. Installation loss is also called DC loss. It refers to optical losses caused by fiber optic cabling plant. This includes fiber transmission loss, attenuation versus wavelength and connector and splicing loss. 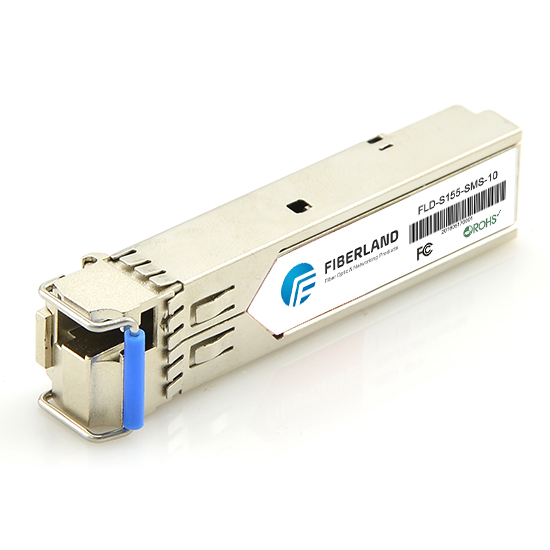 Transmission loss is the most important property of an optical fiber. Transmission loss is caused by material obsorption and linear and nonlinear scattering of light from impurities in the fiber. Macrobending and microbending are two more mechanisms for attenuation increase. Typical losses for single mode fiber is about 2.5dB/km @850nm, 0.5dB/km @1300nm and 0.25dB/km @1550nm. Multimode fiber loss is slightly higher. Fiber loss varies with optical wavelength, so wavelength changes in the light source or a spectrum of wavelengths in the source will incur additional losses. Typical loss due to wavelength-dependent attenuation for laser sources on single mode fiber is about 0.1dB/km. Connector losses come from misalignment of fiber cores, offset of fibers on either side of the connector and angular misalignment of fibers. The typical connector loss is about 0.5dB for multimode connectors and 0.3dB for single mode connectors. Both mechanical splice and fusion splice introduce power losses. The typical loss is 0.4dB for mechanical splices and 0.1~0.2dB for fusion splices. AC losses refer to losses caused by optical noise sources on the link. This includes modal dispersion, chromatic dispersion, mode partition noise, mode hopping, extinction ratio, multipath interference, timing jitter, etc. For fiber optic cabling professionals, the most important to understand is installation loss.